Support Learning for Life programs while enjoying a casual night full of Las Vegas-style games, food, silent auctions and prizes. 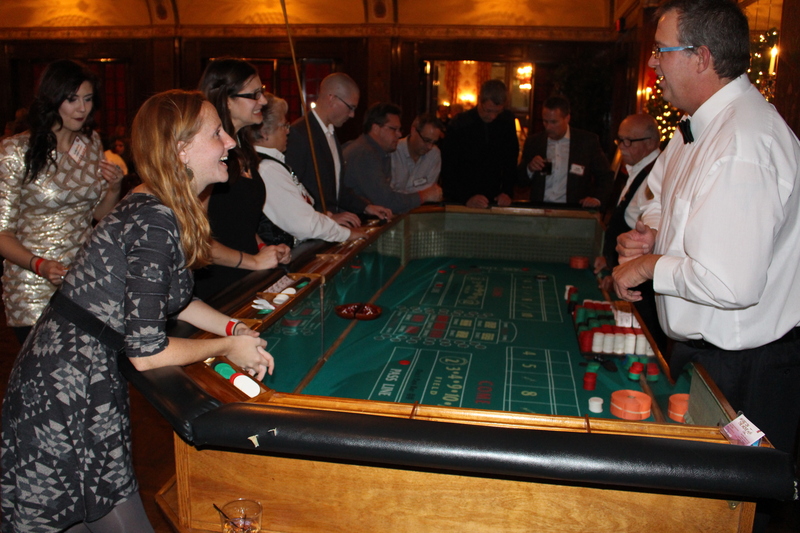 Players of all skill levels are welcome - friendly dealers will help novices become experts by the end of the evening! Your participation ensures Learning for Life can continue to provide character development and career training to more than 11,500 youth in local schools. not permitted at the Wisconsin Club. 10:00 p.m. - 10:15 p.m.
Includes: 40 event admissions, special recognition during event, prominent recognition signage throughout event, prominent logo recognition in event materials, 4-hour open cocktail bar. Includes: 16 event admissions, prominent recognition signage throughout event, prominent logo recognition in event materials, 4-hour open cocktail bar. Includes: 8 event admissions, recognition signage at Poker Table, recognition in event program, 4-hour open cocktail bar. Includes: 6 event admissions, recognition signage at Craps Table, recognition in event program, 4-hour open cocktail bar. Includes: 4 event admissions, recognition signage at Roulette Table, recognition in event program, 4-hour open cocktail bar. Includes: 2 event admissions, recognition signage at Blackjack Table, recognition in event program, 4-hour open cocktail bar. Includes: 1 event admission, 4-hour open cocktail bar. Ideal for donors who cannot attend the event but would like to support Learning for Life. Includes prominent recognition signage and prominent logo recognition in event materials. Non-deductible portion is $80 per player. Blackjack is a popular card game in which a player plays against the dealer. The goal is to collect a hand of cards closer to 21 than the dealer's hand without going over. A popular casino game, Craps incorporates the use of two dice, with players making wagers on the combinations thrown by the current shooter. This is one of the quickest games in the casino, which makes it fun, fast-paced excitement. Roulette is probably the game most people associate with casinos. The idea is to pick sections or numbers that are likely to be rolled on the roulette wheel. There are a range of different betting strategies. A form of poker, Let It Ride is played at a relaxed pace. Players wager on a five-card poker hand formed by their own three cards and two community cards. Casino Night offers a variety of fabulous silent auction items for everyone, including leisure retreats, deluxe golf outings, tech gadgets, indulgent spa packages, jewelry, and more! Whether you're on a winning streak at the tables or not, everyone has a chance to win cash and prizes! Opportunities are available throughout the night. The Boy Scouts of America offers the finest youth development program available to build leadership, values, life skills, and self-esteem in youth. Your participation helps bring the character-building programs of Scouting to more than 26,000 young people and their families in Kenosha, Milwaukee and Racine counties. Your support makes programs such as Learning for Life and Multicultural Scouting possible for kids in central city neighborhoods.